It feels like bajillions of small SUVs have been launched recently – Hyundai and Kia have created new cars on their joint platform, Volkswagen recently revealed its new T-Roc, Seat its Arona, even Jaguar launched its baby E-Pace a few weeks ago – to surprisingly muted reaction. 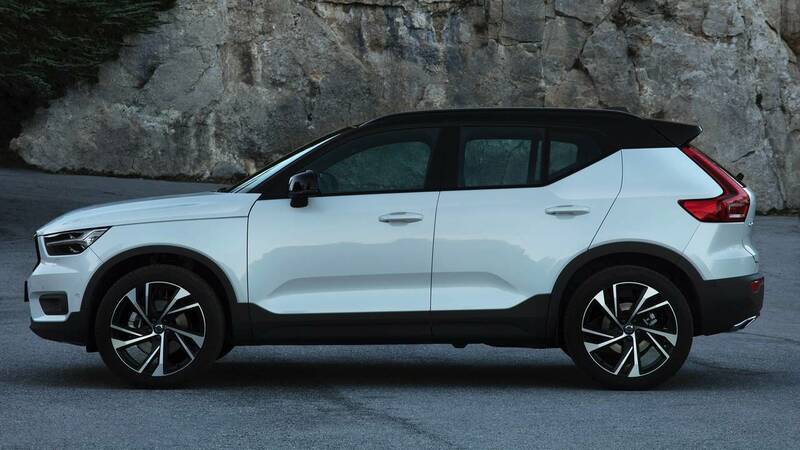 Now comes Volvo with the XC40, a left-field Scandinavian take on a familiar theme. 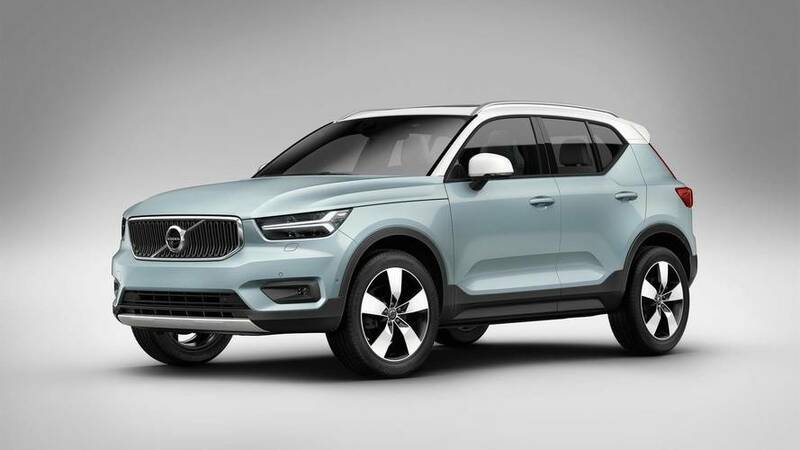 It’s not just the car that’s slightly alternative, but the ownership prospects are too – Volvo is launching its new ‘Care by Volvo’ package with the XC40. You pay £629 a month and Volvo will sort out everything bar the fuel. It’s a little pricey for our liking, but the convenience and lack of fuss is not to be sniffed at. The styling of this new baby SUV is both distinctive and handsome, a feat that rivals like the Mercedes GLA and BMW X1 haven't quite managed. It must be said, though, that we’ve had enough of contrasting roofs if we’re honest. The Amazon Blue of our test car paired with a white top made it look like the sort of shirt an Apprentice contestant might wear. The interior looks premium and well-designed, even if that doesn’t always match up to the perceived quality of materials – Volvo has a little way to go before it matches the likes of Audi, BMW and Mercedes. The fuzzy felt door cards look better in some colours than others, but it feels important to applaud Volvo for trying something different that mostly works. Volvo has put lots of thought into the details – there's a foldover curry hook on the glovebox, a boot floor that folds in half and has bag hooks on it, loads of space in the boot and plenty of storage in the cabin. There’s even a neat little rubber tag on the side of the bonnet near the driver with the Swedish flag on it. The massive vertical touchscreen dominates the dashboard and is by now familiar from other models in the Volvo range. 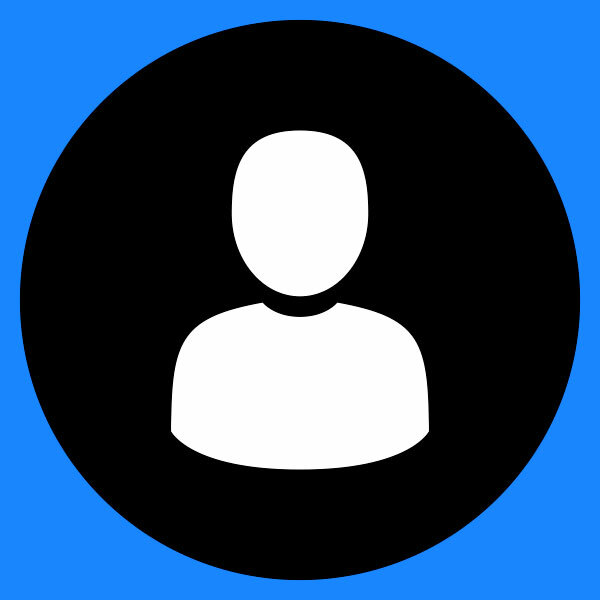 We love the idea, even if the execution takes some getting used to. Perhaps it’s the sort of thing that plays well in everyday life rather than the sort of necessarily short drives that we undertook. 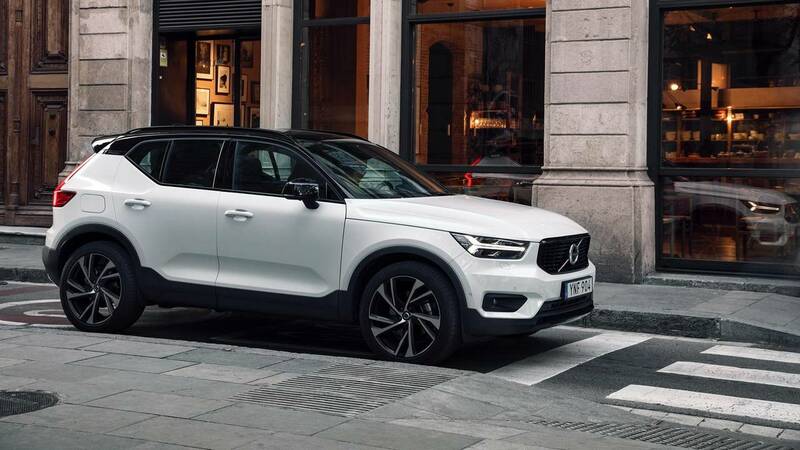 There’s a follow-up question to be added in here – ‘and does it really matter?’ Let’s be clear that the XC40 is not a driver’s car – and applause to Volvo that it isn’t pushing the sporty lifestyle schtick that seems to be prevalent. It’s a comfortable drive, it’s quiet in the cabin and it does everything without fuss. This isn’t to be critical of the car – it certainly won’t fall over going round a bend and it feels both solid and safe, it’s just not the sort of car that you would want to hustle through a corner. It feels more grown-up than its size would indicate and you know that it's going to offer you great protection should the worst happen. If we’ve got criticisms, it’s that the D4 diesel engine we tested here is a little raucous under acceleration – and all the more noticeable because the cabin is so hushed the rest of the time. The petrol engine that’s available at launch is a much better fit with the car, but we know that people often pick their engines for other reasons – the fact that the diesel produces 131g/km CO2 versus the petrol's 164, for instance. 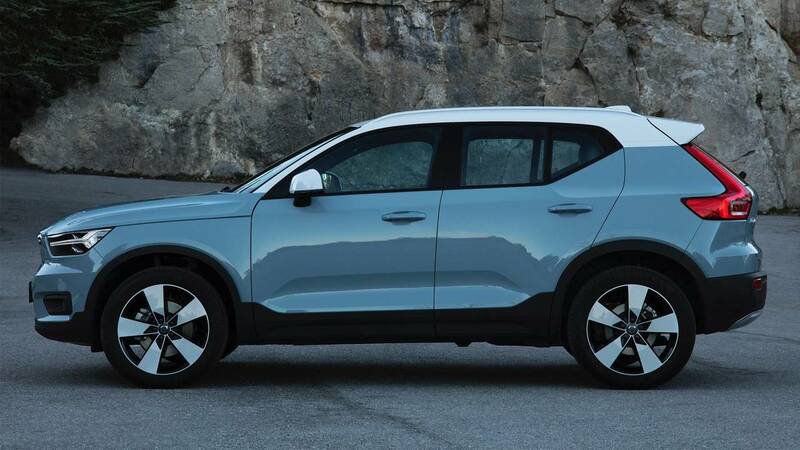 Volvo is introducing a lower-powered D3 diesel engine at some point during 2018 that it thinks will be the biggest seller, and we’ll be interested to drive the XC40 with that motor. If the torque is less peaky it could make it that much more relaxing to drive. The other criticism is that the eight-speed automatic transmission we tested here was quite sluggish away from junctions. Again, not so much of an issue with the petrol version, but Volvo expects the majority of UK buyers to go for the manual transmission. 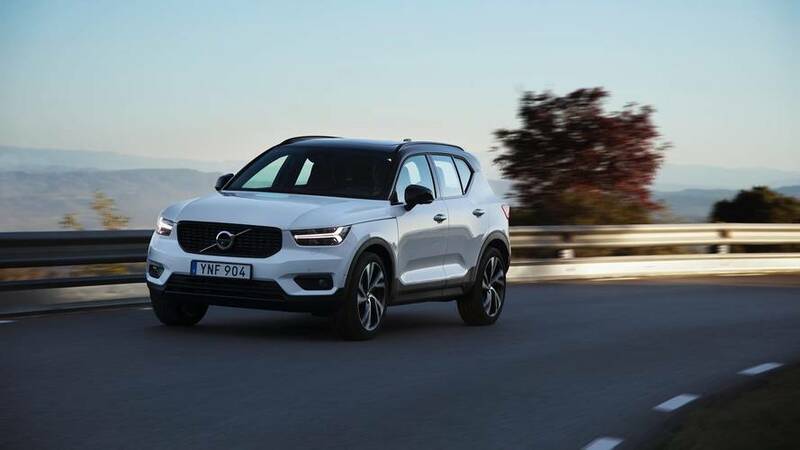 Overall though, the auto gearbox fits in well with the XC40’s more relaxed and refined demeanour, and you don't ever notice it hunting through its eight gears, the whole process is unobtrusive. Volvo was keen to push the virtues of its Pilot Assist software that was fitted to the test cars – it's essentially adaptive cruise control with semi-autonomous features built in. The car will steer, brake and accelerate its way down the motorway, but only if you've got your hands on the wheel. It's fairly pointless, but a neat way for Volvo to show off what it can do in five years' time. On its own, not worth paying for, but the £1,400 Intellisafe Pro package offers blind spot warning, adaptive cruise control and cross-traffic alert with autobrake, which came in surprisingly useful when a Barcelona taxi driver tried to drive into the back of us when reversing. Well, Volvo is quite clear that you don’t even need to buy one – and in actual fact through curious quirk of product marketing the D4 Momentum model we drove is available to lease through Care by Volvo but you can't buy it. 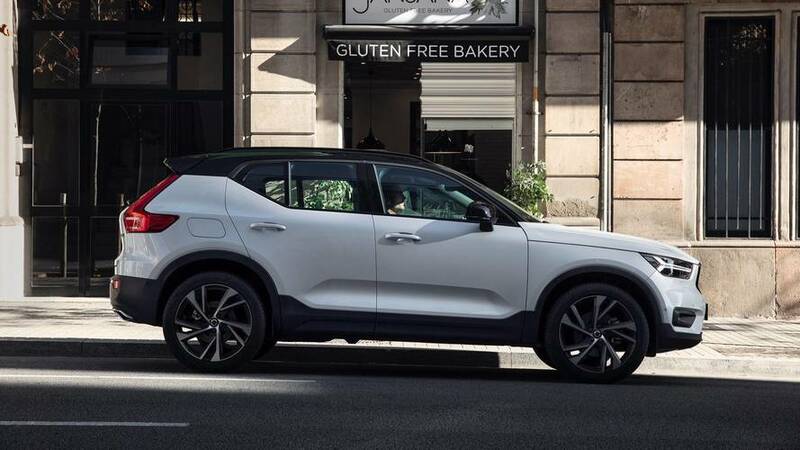 The XC40 should definitely be near the top of your shortlist if you’re in the market. There are so many competitors out there that it’s hard for anyone to break free of the pack into a clear lead, it really depends what you want out of it. But the Volvo is stylish, distinctive, well thought-out and civilised to live with. The more you think about it, the harder it is to think why you shouldn’t get one.